We will remember 2017 as the year that we finally fulfilled much that we have wanted to do to the exterior of our property. In early May, Chet Graham of Graham Drilling completed the prerequisite new well so that at long last irrigating the property with a sprinkler system could become a reality. Sons-n-law Jeff and Zack joined me in mid May to install the sprinkler system. This was new territory for us all, as none of us had ever pulled poly pipe through /under the ground. Mistakes- oh yes, did we/I make some big ones, but we learned a lot and saved big time $ over what a professional installer was asking to do the job. And credos to Shawn from Christiansen Rentals who showed us how to use the poly pipe trencher/puller- could not have done it without you Shawn! Sod around the guest cabin and in front of the house came next. Chris of Glacier Roots Irrigation showed up to finalize the sprinkler system installation, which included correcting some of my errors. Thanks for your generosity, Chris. 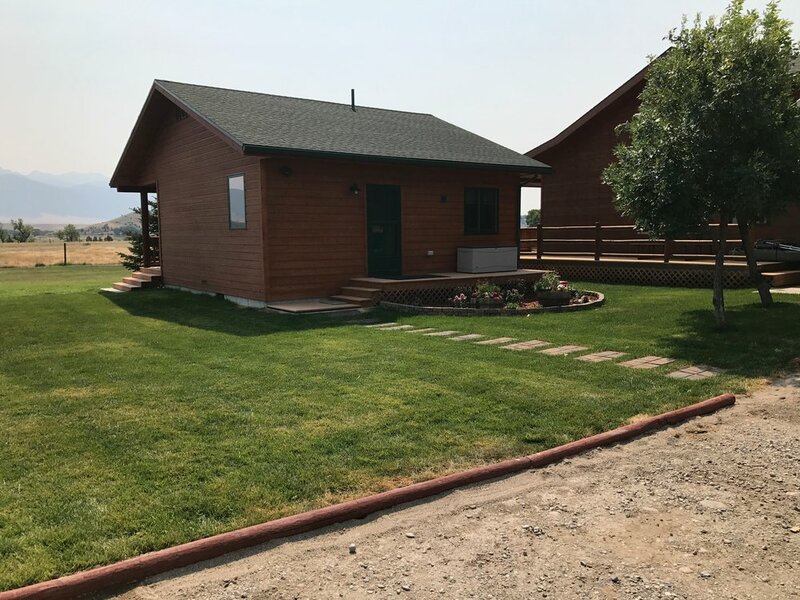 Chris finished the day by installing the sod i purchased from Gallatin Valley Sod, who gave me the best price for quality product. Boy, what a difference new sod makes in the appearance! In early June my wife Cindy showed up, rolled up her sleeves and went to work. This shocked me, as she always complains that all she ever does when she comes to Montana is work on the Rest and Retreat! What ensued was an almost uninterrupted daily ritual of hardscape and landscape enhancements to the exterior. Rather that describe it all, I will let the pictures say it all. I'm grateful for Cindy's encouragement, creative, whip-cracking at times, and downright hard work in making so many positive changes to the property. 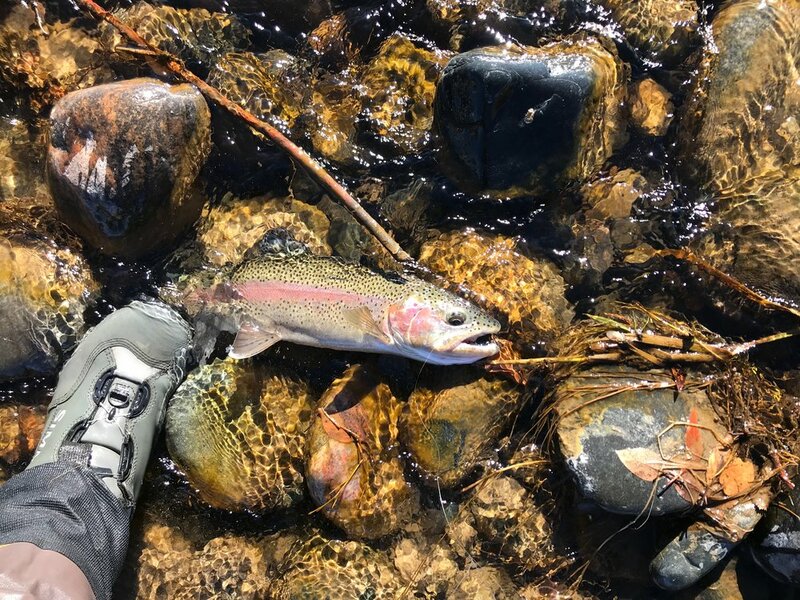 It wasn't all work and no play at our Montana home, but it really wasn't until late August that I really had a chance to start fishing. I made it a goal to start learning to fish the Madison and I'm confident that I'm better equipped with knowledge, tactics and flies to make my fishing experiences on the Madison more productive from now on. I don't have it all figured out, but I'm further ahead than I was following the 2016 season. In particular, I spent more time fishing the river just behind the house. I have more water there to explore, but I found some consistent spots where some really nice rainbows and browns lurk. I also ventured over to Henry' Lake again in October- it was REALLY COLD, but the fish were REALLY BIG! I'm going to hit it in June this year to see what late Spring fishing there has in store for me and my fishing buddies. Thanks to longtime teacher colleague and good friend Bob Gaviglio of Sunriver Fly Shop in Sunriver (Bend), Oregon for coming over with his very effective stillwater patterns. We spent our third consecutive Fall at Henry's Lake talking about old times and new times. If you ever need help with stillwater tactics, fly patterns, or places to go, Bob's your man. Then he follows up with a nearly identical cutt! A Fall Rainbow from a favorite hole behind the house! My name is Noir Tuxedo de Auburn, but my friends and family just call me Tux. I am a French Brittany Spaniel, and I became part of the Haulenbeck Family last October 2017. I flew from Illinois to Washington State and finally landed in Bozeman, MT- do they give dogs frequent flyer miles? Bob Clayton of Auburn Bretons raised me and trained me for the first 4 months of my life. I liked it there because I had my brother and fellow French Brits to play with and most important, Bob's mom used to give me ice cream- that's good stuff! In the picture above, Ric caught me in my first official "point," whatever that means! All I know is I saw this bird (I think it's called a quail) and I just couldn't stop looking at him. I can't believe I stayed on three legs for such a long time- you should try it sometime; it's really tiring. Anyway, I'm about 7 months old here. I'm almost 9 months now but some things don't change cuz well, I'm still a puppy. That means I cry and piddle sometimes when I'm sad, mad, frustrated, excited and even happy. I also like to chew on all kinds of things like plastic water bottles, electrical cords, and Ric's Simms sandles (uh oh, don't tell him about the last two). But I have learned a lot already too: I now know what "Here," "Heel," "Go bird," "Whoa," "Give," and "Leave it" mean and most of the time I obey. I complain a lot sometimes about the last two commands, especially "Give" when I have a quail or favorite toy or deer turds in my mouth. I love to hunt and I love my family- I just wish they would let me in the house more often and that little Shitzue, Diesel, would play with me instead of growling at me. Anyway, I can't wait to return to my wide open spaces at the Angler's Rest and Retreat cuz this Southern California lifestyle is a little too hot, distracting and confining for me. I hope you all come by to say Hi this summer, so until then, "Ruff!" "The Madison River, like a beautiful woman, is sometimes difficult to figure out." I uttered these words to Jeff, a recent guest of The Angler's Retreat. He had spent two days with his pals fishing the April hatches of the "100 Mile Riffle," as it's come to be called. He expressed to me a hint of frustration that the catch rate over the last two seasons had slumped a little and wondered out loud if next time a guide should be called. Thinking about my own frustrations pursuing trout on the Madison, it's a great question. Of all the rivers that I have fished, I must say the Madison remains an enigma to me. That's quite an admission, considering it's my "home water," and its banks lie a mere 500 feet from my place, The Angler's Rest and Retreat. To be fair though, I have been so busy adding and improving our accommodations that I have not had, or should I say taken the time to learn the ins and outs of the Madison. Having said that, should visitors and Madison River anglers hire a guide? I think the general answer to that is Yes. Think about it- you have spent all that money to book accommodations, pay for your license, flies, and gas and gear only to fish and be frustrated because you don't know the water. Of course, if your budget says no to the price of a guide, then what? In that case, ask a lot of questions of fisherman and even guides. The fly fishing community is increasingly becoming less snobbish. 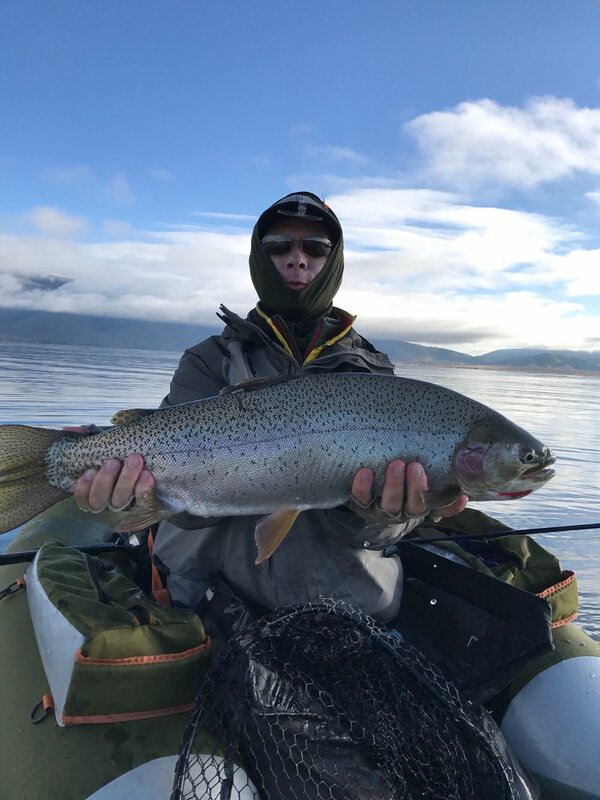 We want more sportsman converting to fly fishing because we see it as an investment in conservation and preservation of our lakes, streams and rivers and of course, Fish! Case in point- recent guests of mine had been with a guide for three straight days and not done particularly well. They were from Ohio and knew very little about the Madison. I volunteered information about one of my favorite places and how to fish it.. They came back elated because they landed some browns in the 17"-18" class. Later in the week they tried on their own the upper Madison near 3 Dollar Bridge. Before beginning to fish, they became engaged in conversation with a guy named Craig. They described their week's low results. Unsolicited, Craig offered them advice on where to fish and how to fish the Madison. He even gave them some flies. As they told me this story, I interrupted them to ask, "Was this guy they talked to Craig Mathews, owner of Blue Ribbon Flies in West Yellowstone?" "Yes," they said. "That was his name." I explained to them that Craig Mathews was among the top 5 fly fishing celebrities in the country, maybe even the world and they had struck gold talking to them. Indeed, based upon what Craig offered them, they caught their biggest fish that week and the most fish that week. So, asking for help in their case was better than using a guide! As I always say to myself, "Self, if it ain't going to kill me, do it!" In this case ask. 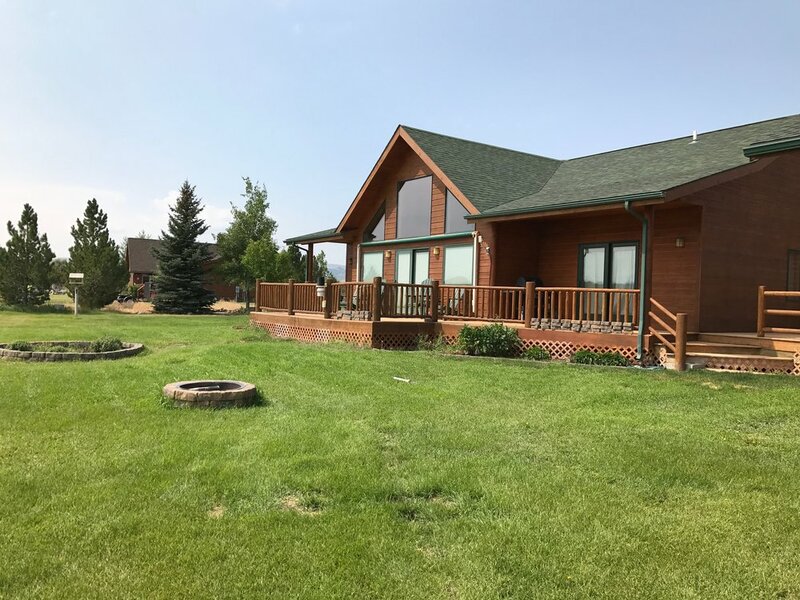 Not too long ago vacation rental guests and I were served well by the major vacation home rental websites like VRBO/HomeAway, Trip Advisor, and AirBnB. However, more recently sites like these have "stuck it to" both travelers and homeowners by insisting on 3%-10% booking fees to guests and increased site fees and control of the property booking process. In forcing these conditions upon us, guests and I alike are separated from each other and put at a disadvantage. Due to these circumstances, I sought an alternative similar to what was available before- a site where guests can view a property, know its availability, and contact me directly for a quote or more information. These are but a few of the responses that express the same sentiments. Indeed, no one yet has been supportive of what the Fat Cats are doing to guests and owners. Last, I am teaming up with a local vacation rental company Madison Management, www.madisonmanagement.com to promote our vacation rental. My goal is to give guests get a fair shake on pricing, while being able to expand my guest bookings and maintain control over my individual properties. So what are the advantages with booking directly with me? First, you will have more direct communication with me. I can more readily provide you with answers to your questions regarding the home or guest cabin. 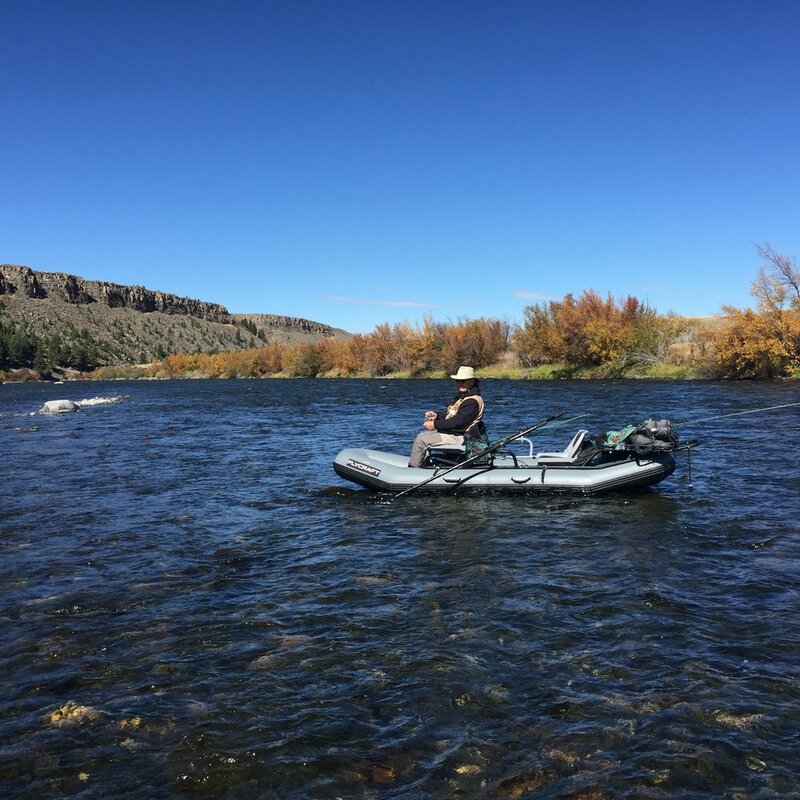 I can offer information about river conditions and fishing reports. I can set you with guides and concierge services. I can offer the latest in where to visit or what to do. Also. by booking direct with me, I can offer more competitive rates, no booking fees, and less initial outlay of funds to hold the reservation. For example, as a Security Deposit I accept a personal check, which I do not cash, provided no loss, damage, or other liability occurs for which you or your guests are responsible. Last, I can offer a more guest-friendly cancellation policy. In closing, I hope this post proves enlightening to travelers and hosts alike. A short drive from the Madison River Angler's Rest & Retreat vacation rentals takes you to places like this!